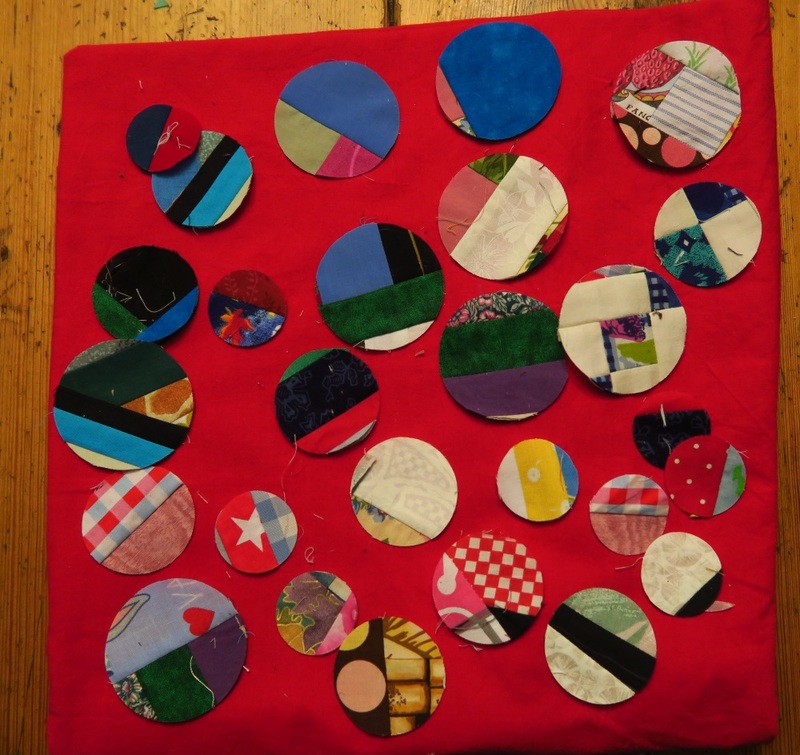 I've been trying to give one good sewing session each weekend to working with strings/crumbs. Then I put them away and feel no guilt about ignoring them in my sewing room during the week. 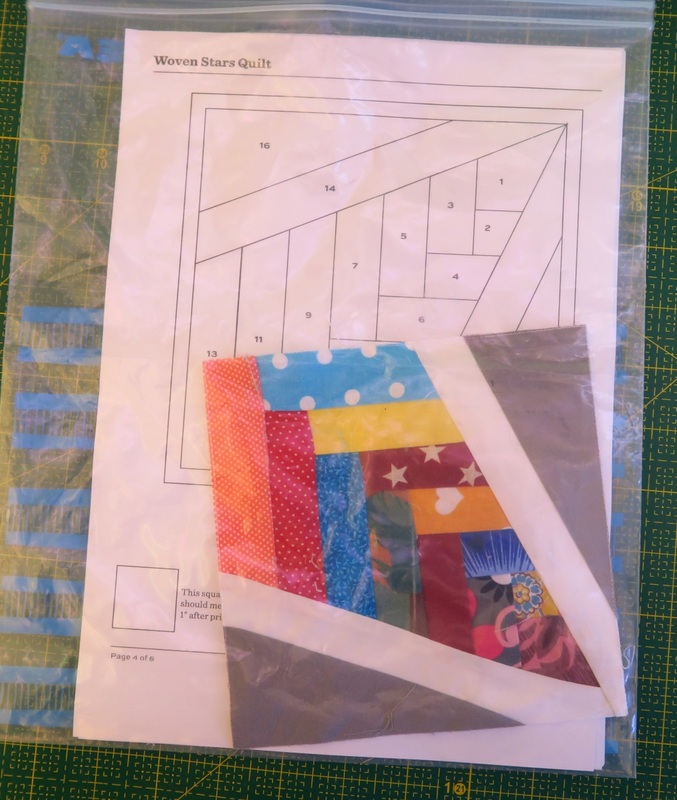 As to my success at actually using them up - alas...like most of us that use scraps, it doesn't really seem to be working, because I'm creating them with other projects I'm doing. If I actually stopped working on other things, then maybe it would work. I feel like a “sidetracked home executive”. Have you read that book? I read it a long time ago..and while I can’t say I remember most of what’s in it, I do remember that the gist of it is that too often home executives - moms, that is, get side tracked and don't accomplish a lot of things that we start out to do. We head one way to put something away and see something else, so we pick that up and change directions to take of that. I feel like I've been going all over the place with this project this week. No focus! The biggest reason is that I've not been totally happy with my plan for the next strings project. I have a couple of things planned, but want them to be better. Today my husband became more independent -- he managed to get from a lying position to a sitting position without my help (Yeah) and vice versa. Big progress! That is totally unrelated to this project, by the way - just a short little update on how he's doing! 1. 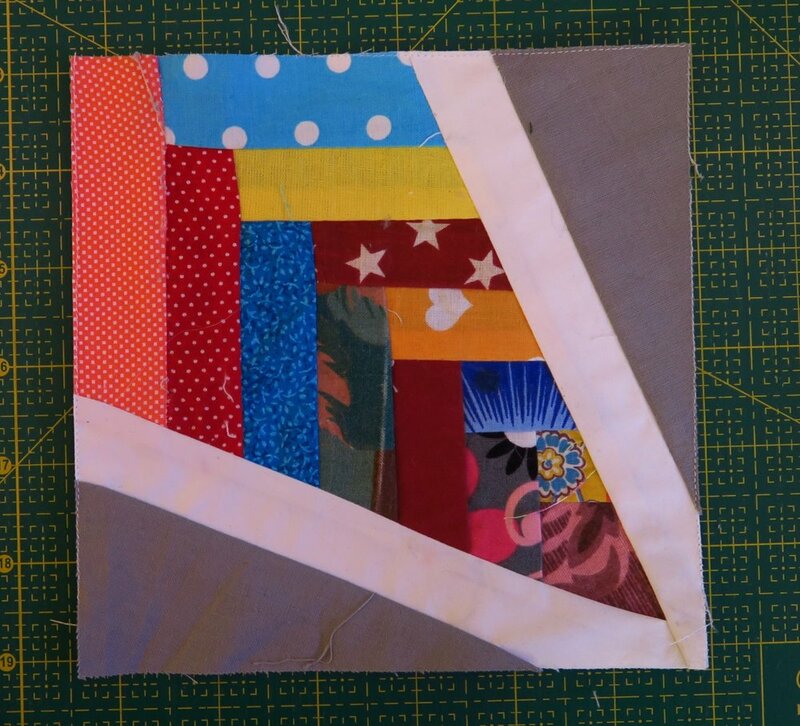 Took off the outer two borders from my “finished” crumbs quilt that I showed last week. I actually did this on Thursday as I sat in the hospital waiting for my husband to get his x-rays and then during a session using the exogen machine. 2. Put a black border next to the first gray one and put the other two borders back on. Yes, I'm very pleased! It is not truly finished! 3. Made 4 more straight string blocks – ready to trim I have a total of 20 of them I’m still working on a lay out that I love. Unfortunately I haven’t nailed it down yet. 4. Made 2 more BIG string blocks on an angle. I don’t know yet how I’m going to use them. 5. Made my first woven star block referred to from a lady in my Facebook group – Nancy-Mom Klungsworth. 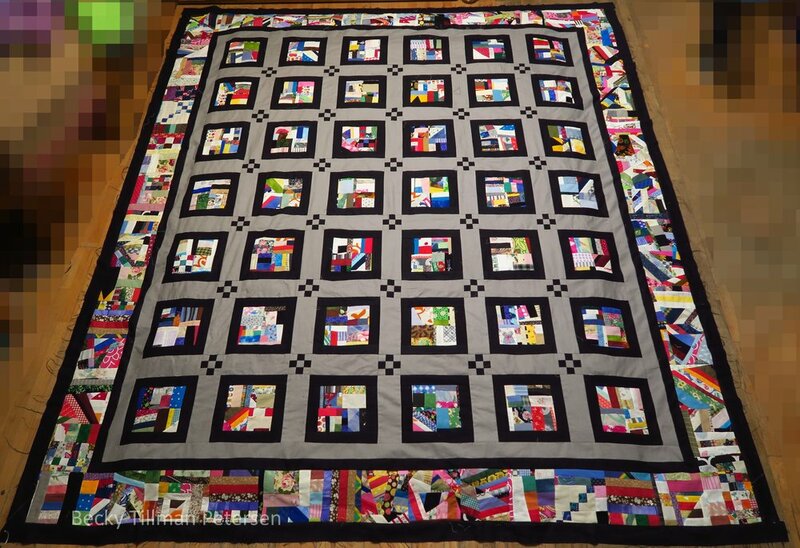 I love her quilt top and want to make one. This will be a long, long term project. I hope to made a minimum of 1 block a week, but would like to work up to 2 and possibly 4 per weekend. It all depends on how long they take me. Four would be like finishing one big block as it takes 4 of these little things to make a 12” finished block. 6. 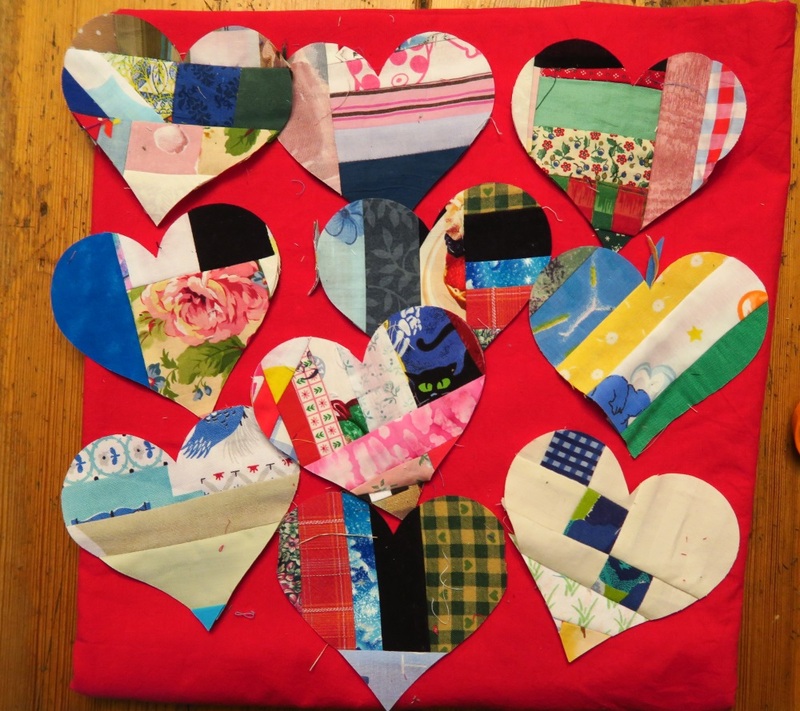 Out of some scraps of crumbs and strings, I cut some circles and hearts to be used in an applique project. Used my Sizzix. I’m thinking of using these in conjuction with my straight strings blocks Once these pieces were so small that I couldn't get the smallest circle out of them, I threw the rest of these leftovers in the kindling! I also pulled out some tiny trees that I made a long time ago when I hadn’t done a lot of paper piecing. I still haven’t done a TON of paper piecing, but I will certainly become more experienced once I finish that whole top of paper pieced 6” blocks, won’t I? 7. 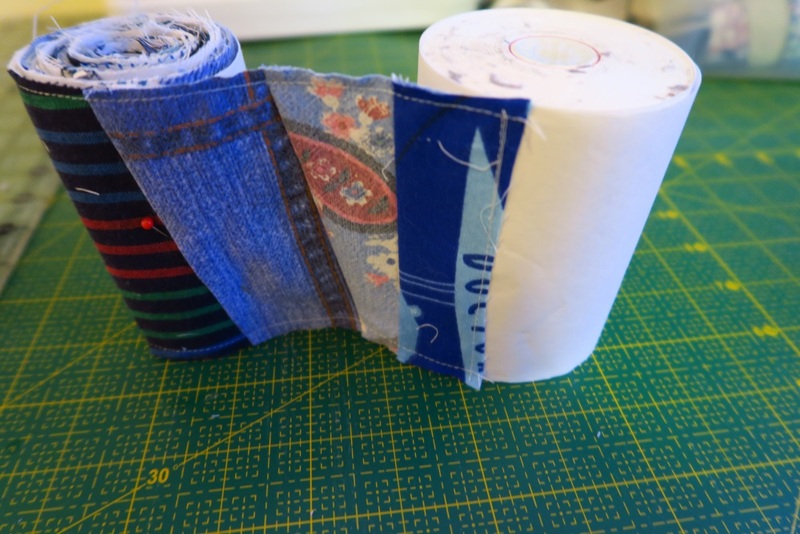 Out of some of the leftovers from the upcycled projects I've been doing lately, I sewed blue and white scraps to about three yards/meters? maybe?? of paper tape. I may work on this this week as I need these for any upcycled project I've got in mind. This particular adding machine tape is almost 4" wide. And that's it. That's all I did this weekend with strings/crumbs! And don't forget, if you find yourself needing something for your projects, be sure to check out what my sis has for you!